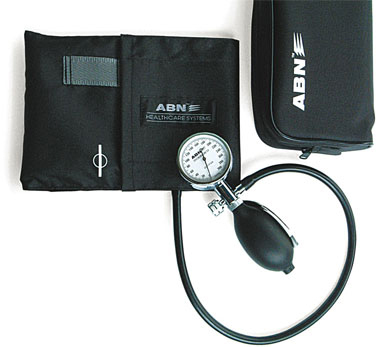 State of the art single handed blood pressure instrument with attractive design. Deluxe manometer palm style with 300 mmHg no pin stop mechanism, with superior quality of ABN nylon cuff and heavy duty 1 tube latex inflation bladder, easier for changing the inflation system to the proper size. Three years calibration warranty.